Dean of the college from 26/9/1956 to 28/9/1954. – Received a Bachelor degree in Medicine and Surgery in 1931 with honor. – Earned a PhD in philosophy of “Alagherbazin” science in December 1932. – Worked as a lecturer at the “Adenber”University”Alagherbazin” Department from 1931 to 1932. – Worked as a teacher of “Alagherbazin” science in Faculty of Medicine, CairoUniversity in December 1932 – 1940 . – worked as Assistant Professor of “Alagherbazin” Science, Faculty of Medicine, Cairo from January 1940 to December 1942. – And then he attended to Alexandria and worked as “Agherbazin” professor in the Faculty of Medicine, Alexandria of December 16, 1942. – At the same time, he was a consultant of the Egyptian Company for Medical Products. 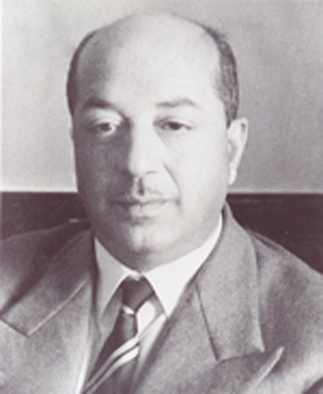 – hired as Dean of the College, but after he was asked to go to the Faculty of Medicine, Cairo in 22/12/1956. – during his reign, the establishment of the big building with four wings has been ended, which it was six floors high for surgery and internal medicine building the sections was officially inaugurated on July 29, 1956. Also During his reign, the establishment of elshatby hospital for obstetrics and Gynecology was finished and appeared as new university hospital.